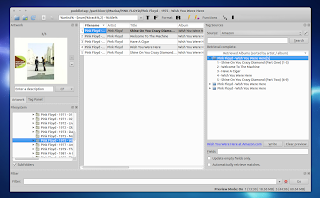 Puddletag is an awesome Mp3tag-like audio tag editor for Linux which uses a spreadsheet layout so the tags are always visible, making it easy to edit them. 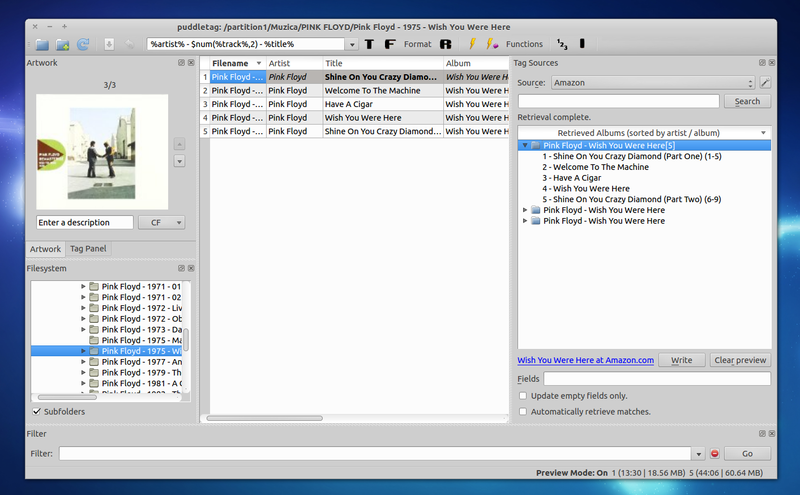 The application comes with a highly customizable interface and supports mass tagging and most features that should exist in an audio tag editor like extracting tag information from filenames, ranaming files based on their tags, along with some other cool features like support for downloading cover art via Amazon or retrieving tags from Discogs, FreeDB or MusicBrainz. For how to use Puddletag, visit its online documentation (includes some tutorials too). For other Linux distributions (there are also .deb files available for download if you don't want to use our PPA), get Puddletag via SourceForge.